Here is an interview of a psychiatrist who talks about the emotional affair. It is a good overview of the characteristics of an emotional affair, and might be helpful for someone who feels an attraction to someone and questions whether s/he is engaged in this type of affair. 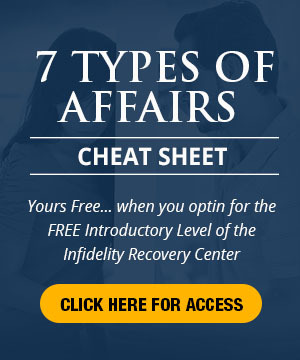 Click here for other blogs on infidelity and emotional affairs. This entry was posted in Dr. Huizenga's Blog Posts, Emotional Infidelity, Infidelity Coaching, Surviving Infidelity, Surviving Infidelity Videos and tagged emotional affair, emotional infidelity. Bookmark the permalink. I think i that is interesting video. I learned about this emotion affair. Thank you very much for share this video. it is great thing to learn about emotion affair. 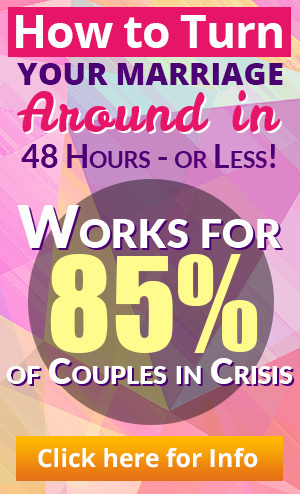 Yes, it is very informative to hear basic things involved in emotional affair. My experience is exactly the one that was described with my spouse getting distant, deceiving and eventually full blown agresive towards me since clearly engaging into full blown affair. Denial, pain, secrecy and eventual ruining of our marriage was due to her emotional affair with the married person co-worker, which affair, most likely is continuing even after almost a year. Thanks, I’ll share this video with my husband. He’s having a hard time understanding why I have a problem with his long-standing close “friendship” which he wants to call a social “habit”. Somehow that doesn’t sound any better, does it? This happened to my marriage. My husband had an emotional affair for 5 years. Coffees, drinks, phone calls, texts. I did not know about the existence of this other woman during that whole period. I just knew things weren’t right. It turned into a full sexual affair, and he finally fessed up. We are not together any more but he still can’t see that he did anything wrong for that 5 years. I have been reading all the posts in your website. Some I find helpful some are so so. My husband of 23 years had an emotional affair with an old classmate. They both denied it when I discovered text messages (by accident) and even calls on his cellphone and later incriminating evidence in his email. They both denied it and am not sure if they have really stopped it because my husband changed his Cell numbers. He has learned to trash emails and text messages after sending them. Now he is into Viber and spends all his waking hours on his phone or his laptop. I feel so insecure. I don’t really know what he is doing but I dont want to go through the emotional pain of discovering that he is cheating me again. I have become distant to him and treats him just like a companion and lover. I feel I’m in an unhealthy relationship. I’m so unhappy. I am going through the same thing after 23yrs of marriage. I am filled with mistrust and doubt and it’s really hard to get it out of my mind. It’s a constant reminder of what going on in my life. My wife had a non-romantic emotional affair with her best friend. She essentially took the emotional intimacy and connection from me and gave it to her friend. She was spending more and more time at her house buying her gifts, getting matching tattoos, pouring her heart out to her, venting and complaining about me all the while never uttering a word to me as to what exactly she was unhappy about. Her friend became to her what I had always longed to be. It may not have had romantic undertones but all the same mechanisms were at play and it was just as damaging. Gary, this is exactly (well, no tattoos, but you know what I mean) what happened with my wife. As we’ve worked on her other, physical affairs, she has come to realize that she had an emotional affair with the woman she thought was her BFF. I found it insightful that she came to that realization – before I ever did – that despite the lack of romantic or sexual activity and feelings, it was still basically an emotional affair. Thank you for sharing your story with us. I wish you well.